With the unofficial start of the 2015-16 campaign dawning on Wednesday alongside the opening of the NHL Free Agency period, Nashville Predators General Manager David Poile shed some additional light Tuesday afternoon about his plans for the rapidly approaching new season. 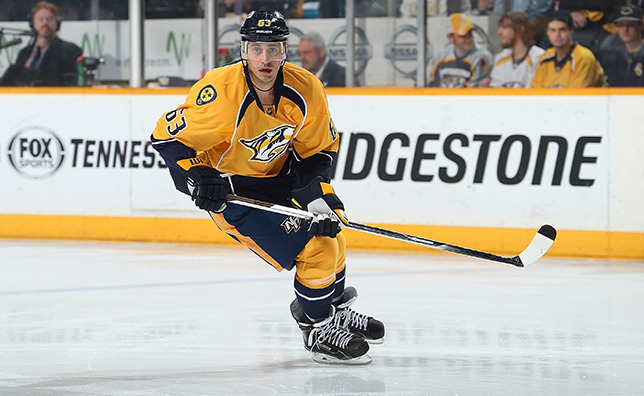 The GM, entering his 18th year at Nashville’s helm, explained his stance on the Preds potentially re-signing Mike Ribeiro to a new deal, offered some projections for the 2015-16 lineup and provided his thoughts on the future of Nashville’s prospect pool. With the NHL’s Free Agency period set to begin July 1 at 11 a.m. (CT), Poile will certainly be paying attention. Although he doesn’t necessarily believe the Preds will have to make a big splash into the group, the GM could be looking for something, particularly on the blue line. There are also plenty of other prospects in Nashville’s system, namely forwards like Kevin Fiala and Viktor Arvidsson, who saw time at the NHL level last season and could make a much larger impact come October. The Preds GM also gave his vote of confidence to forward Austin Watson, who inked a new two-year deal with the Preds on Monday. 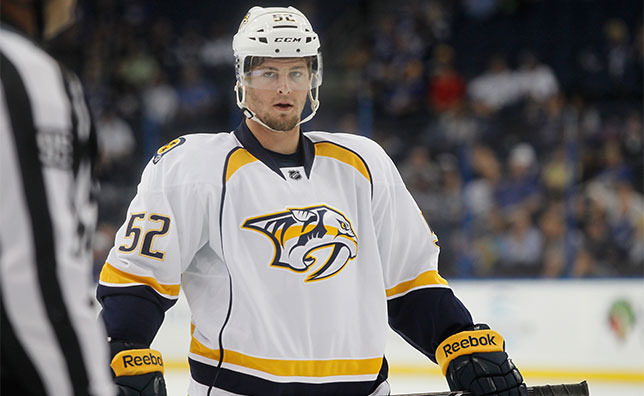 Watson, who spent last season with AHL Milwaukee, is fully expected to not only contend for a spot, but make the Predators roster this season, according to Poile, with the ability to play center and right wing. Poile said that Captain Shea Weber’s recovery from an injury suffered in the playoffs is also going well, believing that the defenseman will be ready in time for the 2015-16 campaign. Poile confirmed that the Preds have bought out the contracts of forwards Rich Clune and Viktor Stalberg and are hoping to trade goaltender Magnus Hellberg. With goaltenders Marek Mazanec and Juuse Saros expected to mind the net for the Predators American Hockey League affiliate in Milwaukee, Poile is looking for a deal involving the 24-year-old Hellberg. Poile touched on Nashville’s restricted free agents who received a qualifying offer on Monday, namely those who were on the NHL roster last season. The general manager says that negotiations are continuing with forwards Craig Smith, Colin Wilson, Calle Jarnkrok, Taylor Beck and Gabriel Bourque, but nothing is imminent at the moment.